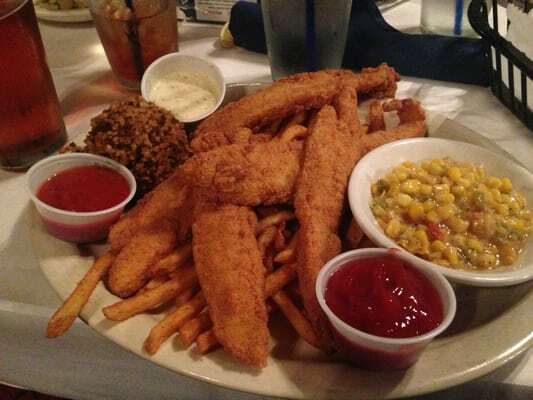 My favorite place when visiting Louisiana was The Blue Dog Cafe in Lafayette. Eating among original Blue Dog paintings was a huge treat. Now I’m not saying that my influence in painting dog portraits was George Rodrique, but …maybe it was. Artists do inspire each other, and of course my style is nothing like his. But I did buy 24 notecards of his paintings, and I have them in my studio. 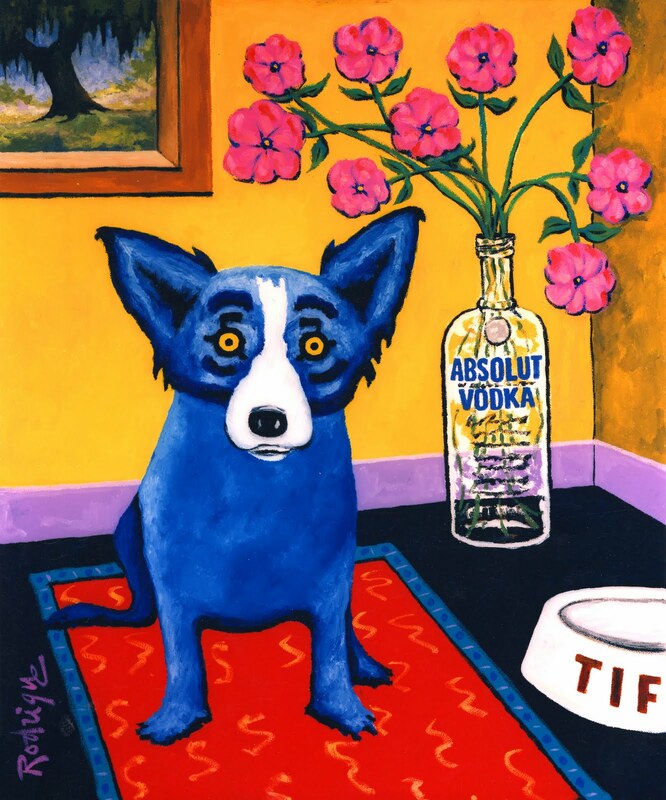 It was 3 weeks before Hurricane Katrina in 2005 that I saw my first Blue Dog painting. And yes, I’ve loved them ever since. Retrospectives on view until January 2015 in New Orleans French Quarter, Carmel, CA, andLafayette, LA, locations. 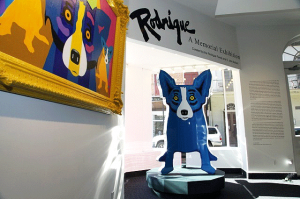 Each exhibit includes works of art and ephemera spanning Rodrigue’s illustrious career and life. George Rodrigue is a true son of Louisiana and the State’s greatest artist. Born and raised in New Iberia in the heart of Cajun country, from the beginning his art was inspired and enriched by the landscape and people of Acadiana. After attending university in Louisiana and art school in Los Angeles, he settled in Lafayette in 1967 to paint full time. His first paintings were pure landscapes, dark and brooding, always dominated by great, moss draped live oaks, for him a powerful symbol of Southeast Louisiana. 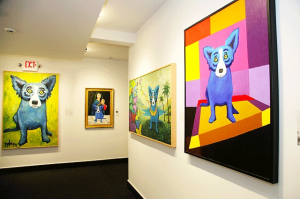 Seen straight on, in a static and unchanging pose, the Blue Dog expresses a broad range of emotions. pleasure and joy to countless people around the world. From the start of his career George Rodigue by-passed the traditional art establishment, going directly to the public to present his art. As his popularity grew, the art elite seemed suspicious, questioning how anything so popular could have serious value. In the past decade, after many museum exhibitions and critical articles and books, that attitude has changed. With his untimely death, we now must consider Rodrigue’s place in the history of American art. Two other artists have enjoyed the same public acclaim and also were long neglected by the art establishment: Norman Rockwell and Andrew Wyeth. These three masters, while stylistically different, have similarities. Each chose to live outside the great art centers, preferring to remain in their small native towns. Each, in their own way, celebrated in their art unique aspects of the American experience. They are three of America’s great public artists. Portia’s picture came out beautiful! She loves it and that I hung it in my office where I can see it everyday. She reclines on her bed in my office when I am working. She is my heart. thanks, Jackie for capturing her personality. Hi Pat…Thanks so much. I love my painting of Portia, and I now wear her proudly on a tee shirt. Everyone who visits my booth will get to meet her too. Thanks for the opportunity to paint the cutest little Pug that I’ve ever met!